I don´t think I have to introduce the movie (or better, the TV-series) DAS BOOT all too much: The 1980 production of a German U-boat´s voyage into the abyss and back (and again into the abyss) is a cinematic classic and from my own point of view the best German movie to date. Every time I leave or enter the Kiel Fjord I take a long look at a grey steel cylinder jacked on dry land on the Northern end of the Fjord: The U-996 German submarine Type VII-C. The last U-boat of it´s kind. 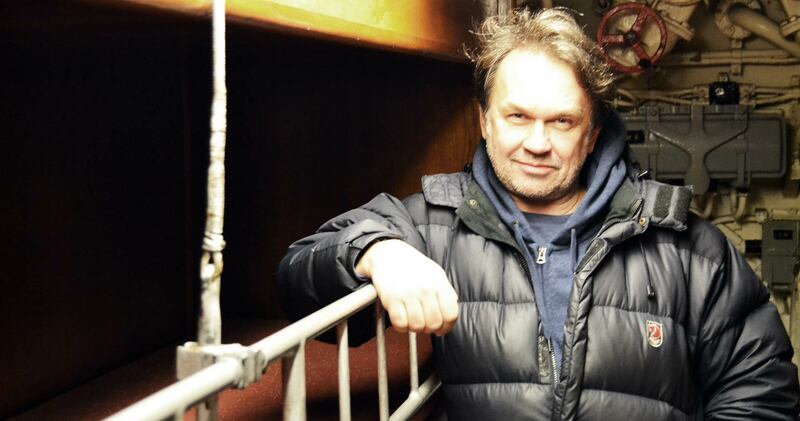 Martin May, 2019 – some 38 years after he was part of the DAS BOOT cast. Last time sailing here on a J/80 with Martin Menzner an idea struck me and now, some weeks later I was so happy to return to the U-boat with Martin May whom I got to know during a celebrity regatta in Croatia last year. Why Martin? 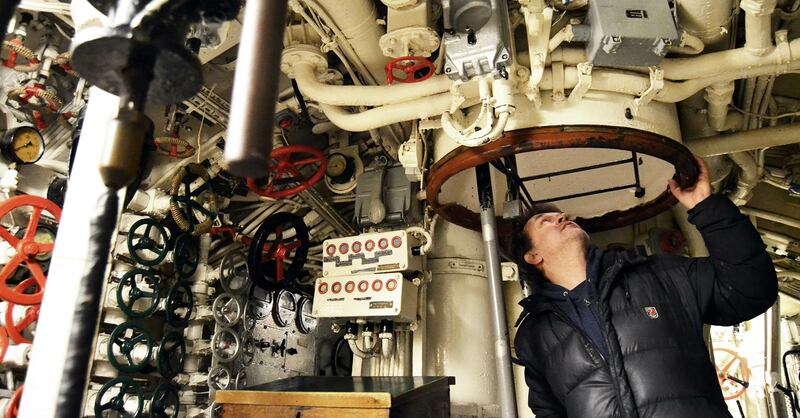 Well, he was part of a very, very special crew – playing one of the members of the submarine crew of DAS BOOT. 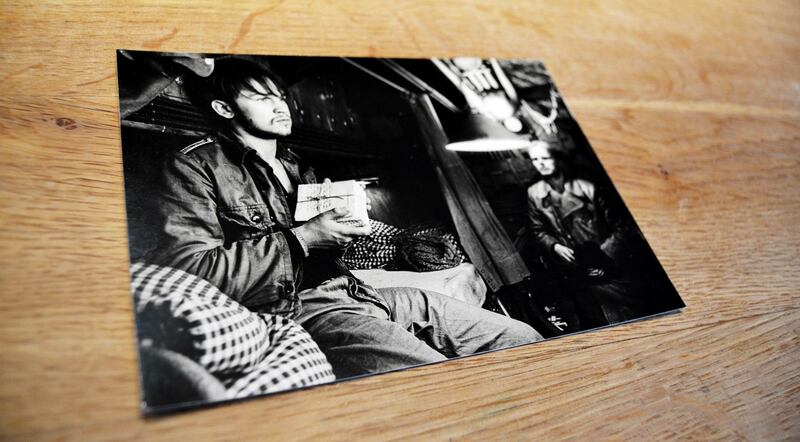 I pick him up in Hamburg where he lives, ring the bell at his flat and with a bright smile he is standing in the door, welcoming me: “I´ve prepared something for you, my friend.” A box filled with black/white and coloured photographs, some from the scenes but most of them shot by Martin during his time at the set of DAS BOOT in the Eighties. I am excited! 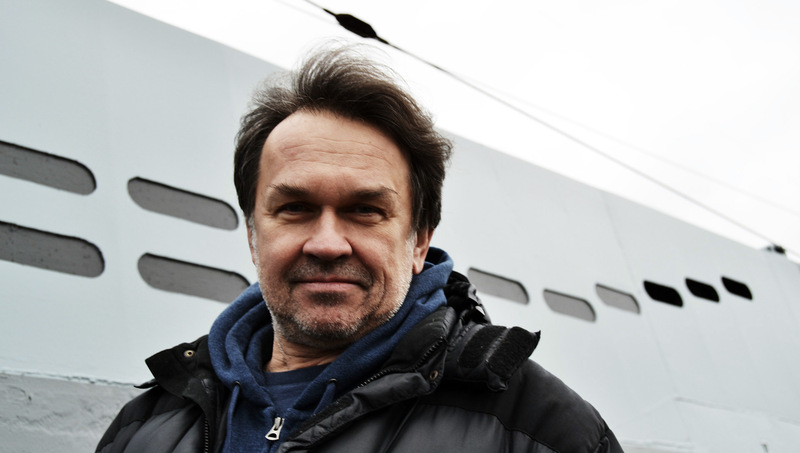 We sit down, have a coffee and talk about what shaped Martin´s live. 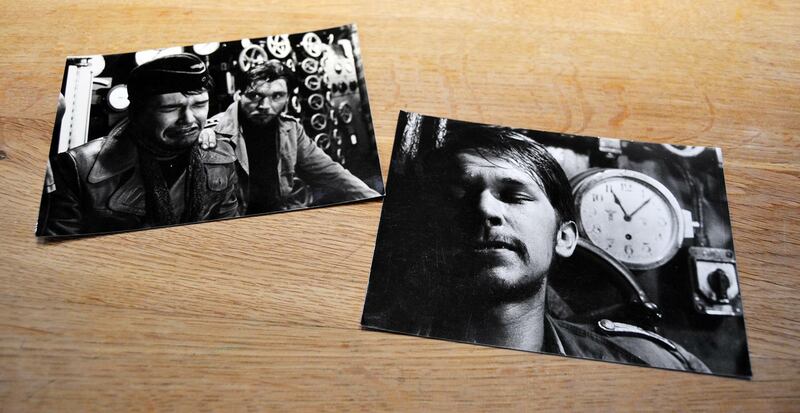 It´s 38 years since the production of one of Germany´s best movies ever took place, but his memories seem as vivid as if it was yesterday the last “Action!” was announced by director Wolfgang Petersen. Ensign Ullmann and Lieutenant Werner – a special relationship in the film. Let´s go, I tell him: We have quite a program ahead. 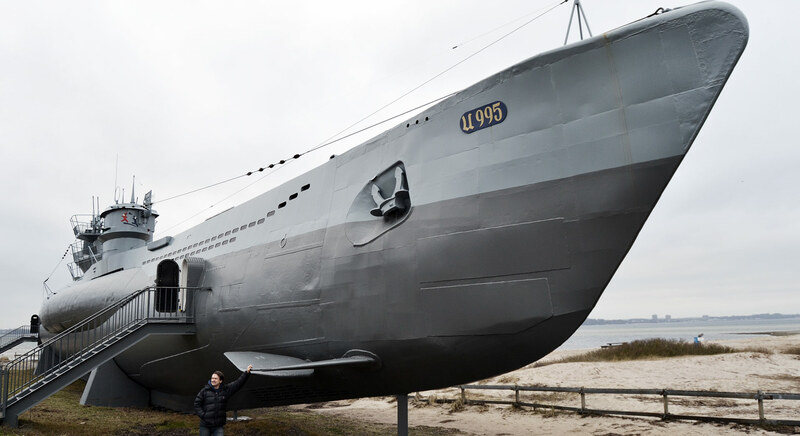 We jump into the car and drive to Kiel where the last remaining type VII-C U-boats of World War 2 is exhibited – and thus the sibling of Martin May´s movie-prop in which he was acting as Ensign Ullmann. 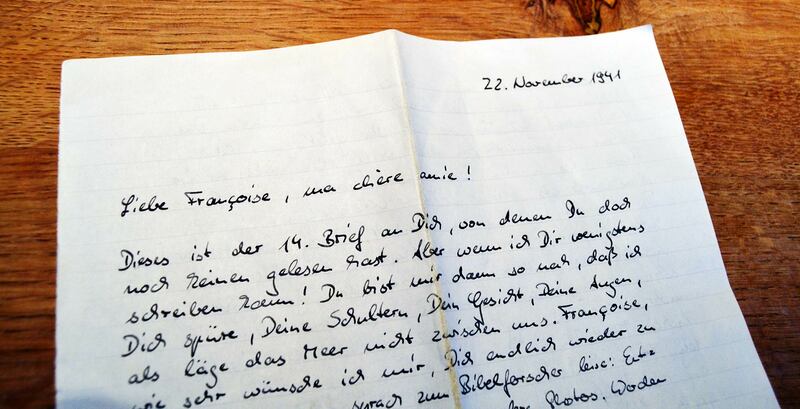 Not juts a movier prop: Martin May´s handwritten full-page loveletters to his beloved Francoise. We arrive at the submarine memorial. It´s a cold noon, the parking lot offering space for hundreds of cars is empty. We pay admittance end enter into the submarine. A grim monster of the seas, 70 years back it was mainly these Type VII-C U-boats which raced in Wolfpacks to hunt and shoot allied convoys. We are the only visitors this morning. We leave the boat after spending some thirty minutes walking from the aft to the torpedo-room in the bow. 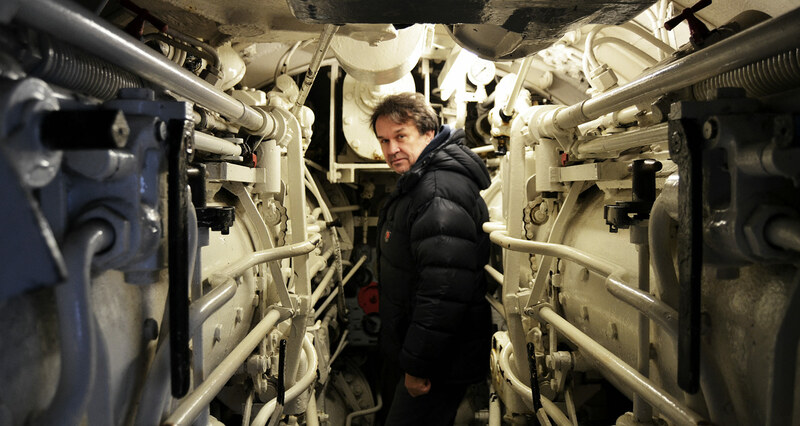 Outside a cold wind is blowing our hair and Martin circles the boat, looking at the distinct, aggressive shape of the once feared submarine which is still the most built sub in human history. We kind of admire the gruesome yet fascinating lines of the U-boat but soon decide to flee the area and rescue ourselves to a nice warm Café where I rub my freezing hands on a cup of hot tea. Beloved memories mix with sadness aboard this very real weapon. Speaking of legacies: As I finish my second cup of tea and the day with Martin May draws to a conclusion, on my way back home after this great meeting, I as well think of how DAS BOOT maybe influenced my own live. I admire the novel as well as the (original 6-hour TV-version of) DAS BOOT being among the most important German achievements when it comes to movies. The film was baffling me when I was a youngster, 14, 15 years of age and it is still a tradition to watch it once per year minimum. It is so intense, so touching, such a perfect Greek-style saga full of fun, excitement, sadness, action and … thousands of quotations which are a firm part of every single sailing trip I am part of. Without citations of DAS BOOT, sailing wouldn´t be half as fun as it is. Goodbye, Martin, thank you for that very special day. Mündungsklappen öffnen!